If you live in an area where humidity levels are high, and you have over 40% humidity inside your home at all times, then you probably don’t need a humidifier. But living in dry areas does come with consequences and they’re nothing to sneeze at (no pun intended). Owning a humidifier becomes pretty mandatory once you understand the damage that dry air can cause to your health, furniture, house plants and… heat bill. And the Procare Humidifier can help with that. How Does Dry Air Affect Your Health? How Can I Prevent all This? As you know, humidity is determined by how much water vapor is leaking into the air that you breathe. Just as a humidity level higher than 60% can cause problems (It favors the apparition of mold, fungus and even dust mites), so can a humidity level below 40%. You may have heard about the alarming study that was performed on hand driers from public bathrooms. The results have shown an alarming number of bacteria present on these devices, because the high humidity level, combined with the dry and hot air that the blower disperses are 2 main factors that create a favorable environment for bacteria to thrive in. The main conclusion here is: if humidity is not kept under control, it represents a regular disease-spreading factor. Aside from health hazards, humidity levels can also take a toll on your furniture and influence your building materials to modify the air quality inside your home. For example, you can be indirectly exposed to higher levels of salt formation, acid or formaldehyde off-gassing. As you can imagine, it gets worse in the winter. If you’re faced with dry air during the summer, you can be sure that the cold season will bring major issues to the table. As it gets colder, we become more dependent on warmth coming from heaters, which further decreases the humidity inside your home. Dry air basically causes the human body to function other than normally. Low humidity levels can cause your mucus membrane to swell, leading to difficulty in breathing. Because of dry air, the environment in your room helps develop certain types of viruses, leaving you more exposed to catching the flu or a cold. 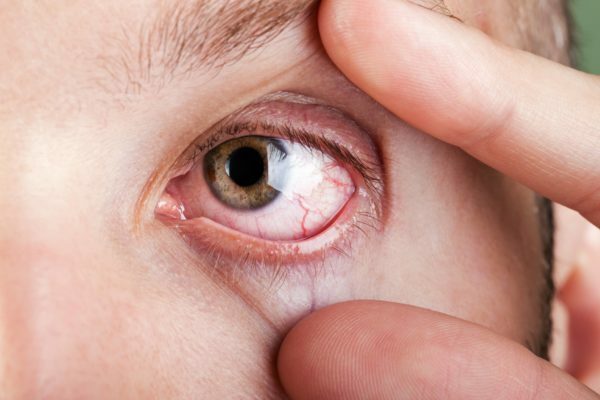 When humidity levels are low, they can also lead to dry and irritated eyes. The tears which naturally keep our eyes moist and clean can evaporate due to cold air, thus leaving our eyes sore and irritated. Even more, dry air takes its toll on our skin as well. As you know, there are natural oils that keep our skin hydrated and healthy. Sometimes, to supplement for the lack of sufficient natural oils, we turn to moisturizing creams. 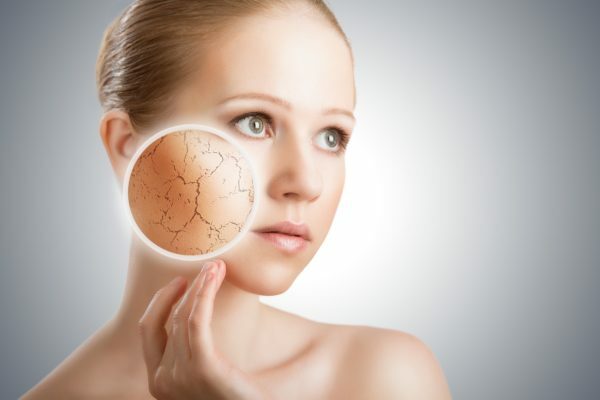 That’s because dry skin can lead to several complications, such as cracks or itchiness. When your skin is cracked, you’re basically losing a protective layer of your body. When your skin is itchy, and you involuntarily scratch it, it can become irritated and, in extreme cases, you can end up with severe scars. Since the skin on your scalp is very sensitive, dry air can cause dandruff and can affect the overall health of your hair. If all of the things we mentioned are short-term effects of dry air, know that there are also long term complications that may arise if you don’t bring your humidity level up to a 40%. One great thing about the human body is that it can adapt to the weather conditions and climate in which it lives. If you live in northern Canada, you may have wondered how people living in the northern part of Brazil manage to survive constant 40 degrees Celsius temperatures. Our bodies are amazing like that. In consequence, if you are exposed to dry air for longer periods of time, your body will slowly begin to lose water and moisture, and it will become more and more sensitive. The best solution would be, of course, to purchase a humidifier like the Procare model. Depending on the size of the water tank and the number of functions on the device, humidifiers go from highly inexpensive to a bit pricey, but the long-term benefits of owning such a device are priceless. 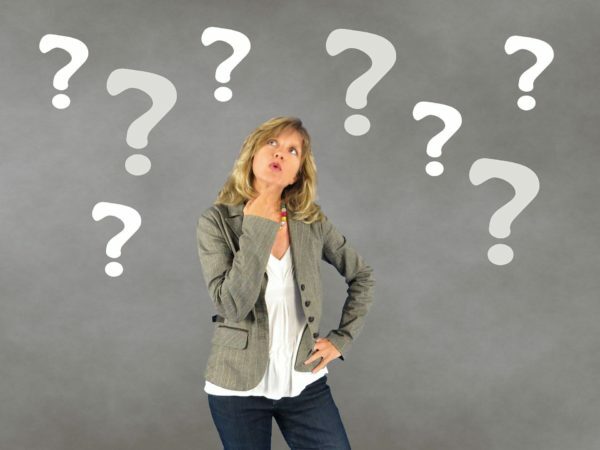 It’s true that dry air is a common trait of winter, but even during the summer, if you use your air conditioning unit excessively, you can also be faced with low humidity problems. Taking steam baths is one solution that helps ensure your body gets enough water. If you opt for a hot shower instead of a bath, you can later fill up your sink with hot water and lean in with your face above it, making sure the hot steam vapors touch it. This is also a good way to open up your pores and clean your face. 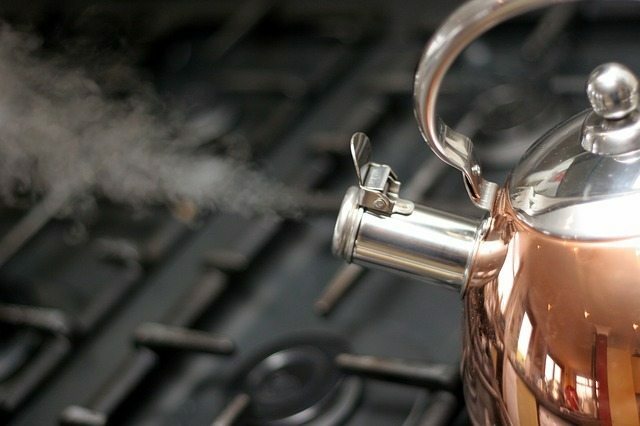 Boiling water will also do the trick, as steams helps raise the humidity level. Place boiling water in several bowls around the house. While this technique does the trick, it’s not something we highly recommend, especially if you have pets or children. Hot water lying around the house is a real hazard, as bowls can easily be knocked over. It’s also not wise to leave your stove unattended, so consider this as a very dangerous solution. Omega-3 fats are a solution for solving dry skin problems. They prevent the dehydration of your skin cells and provide them with enough moisture to stay healthy. They are also a remedy for irritated skin, because of their anti-inflammatory properties.Drinking plenty of water will help you stay hydrated and moisturizing your skin with the proper cream is also useful. The best to do that is by using coconut oil, which is well-known for its anti-aging properties. Coconut oil helps your skin tissue stay strong, while also aiding in the exfoliation of dead skin. As you can see, each of these solutions is not really viable on the long run, so a humidifier is still the best alternative you have. Humidifiers have an automatic shutdown system, they don’t represent a danger for you, your children or your pets, they are often equipped with timers and water tanks aren’t exposed. 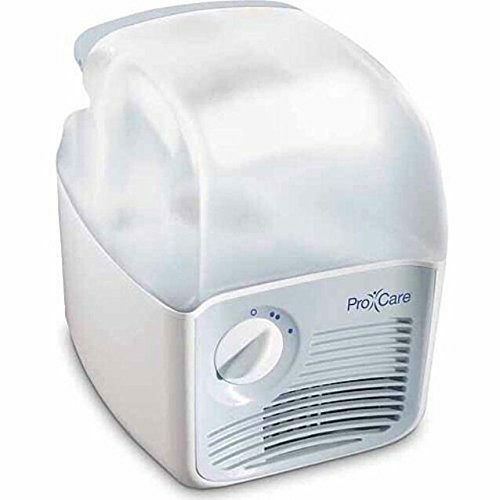 The ProCare unit is a cool mist humidifier which can be purchased at an affordable price, to help you deal with health problems that arise from having low humidity levels. As opposed to a warm mist humidifier, a cool mist one is a better choice for people who have children and want to keep them safe from harm. That’s because warm mist humidifiers represent a burning hazard, due do their mechanisms that use heated water to raise humidity. It’s true that warm mist humidifiers are a healthier option, because the heated water inside them will prevent the apparition of mold or bacteria in the device’s components. They also produce less noise, because there is no built-in fan. However, cool mist humidifiers are more affordable, don’t consume as much electricity as warm mist ones and they are also available in portable sizes, making it easier for you to move the unit from one room to another. The ProCare humidifier is a safe-to-use unit that promises to deliver cool air output, to raise the humidity level inside your home. It features a water tank with a 1-gallon capacity that can produce cool air for about 24 hours before it runs out of water. Please note that this unit doesn’t work as a diffuser. The water tank should only be filled with water, no essential oils or other liquids, as they can damage the components of the humidifier. Due to the fact that the ProCare humidifier helps adjust the humidity level in your home and raises it to optimal levels (between 40 and 60%), it provides a lot of health benefits for you and your family. It will help prevent nasal congestion, dry and irritated eyes, skin complications caused by dry air, but it also helps alleviate cold and flu symptoms and raises the temperature inside your home during colder winter months. It helps prevent issues such as cough caused by inhaling dry air that irritates your airways. Needless to say, excessive dry cough will also irritate your throat, leading to inflammations and other adjacent problems. The tank capacity is 1 gallon, which is pretty generous compared to other humidifiers available on the market. On a full reservoir, the humidifier can provide 12 to 24 hours of cool mist, but the number varies depending on the output settings of the device. If you opt for lower output, the water tank should last about a full day, but setting the unit to high output will consume more water and the tank will empty faster. If you have several bedrooms, it is recommended to get a humidifier for each, to ensure a good night’s rest for everyone inside the house. During the day, you can just move the humidifier into the living room or whatever room you’re sitting in. A very nice feature of the ProCare humidifier is the wicking filter that it integrates to help absorb impurities and minerals from the water. As you may already know, ultrasonic cool mist humidifiers turn the minerals inside the water tank into a very fine white dust which is later released into the air. This white dust is especially visible on your furniture and the ProCare humidifier aims to solve that problem. 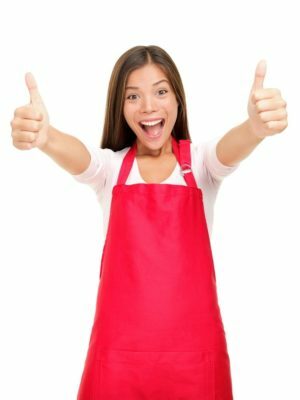 The filter is available in a lot of stores and can be purchased online for a very good price for when the time comes to replace it. You may ask yourself how to change a Procare humidifier filter, but the instructions are super easy and found right on the box. Make sure your always have a spare wicker lying around the house. As sold, the package already includes a filter. However, using distilled or demineralized water can help prevent this issue altogether, but you will have to spend some extra money to purchase it. It comes equipped with an easy-grip handle, which allows you to move the humidifier around the house as you please. To make the job easier, make sure you move the unit when the water reservoir is empty, as a full gallon of water adds a lot of weight. 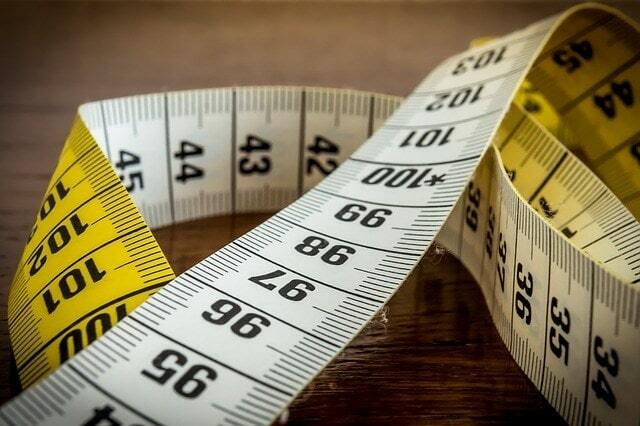 Due to its compact size, it’s easy to store away in a garage, a closet or a drawer, should you no longer need it during the summer, when humidity levels generally rise (this is not a rule, dry air could be present all year round, depending on where you live). Since it measures 11.02 x 9.76 x 11.65 inches, it can fit on almost any dresser or nightstand. However, the device does make some noise, so if you’re used to sleeping in absolute silence, we don’t recommend you placing it so close to your bed. If you like sleeping with the TV on, you won’t even notice the humidifier is running. As a safety measure, it’s generally a good idea not to place humidifiers on furniture, just in case there is any leakage. Also avoid placing it too close to a power outlet. Customer opinions regarding the ProCare humidifier are divided. Let’s start with one of the most important things: the lifespan of the device. Several customers have complained about unit breaking down between 3 to 6 months of usage, while others have reported that the humidifier has been up and running for 2 years with no problems at all. Remember that the manufacturer does provide a 3 year warranty, so you can always ask for a new humidifier if the damage to your existing unit was not caused by human error. 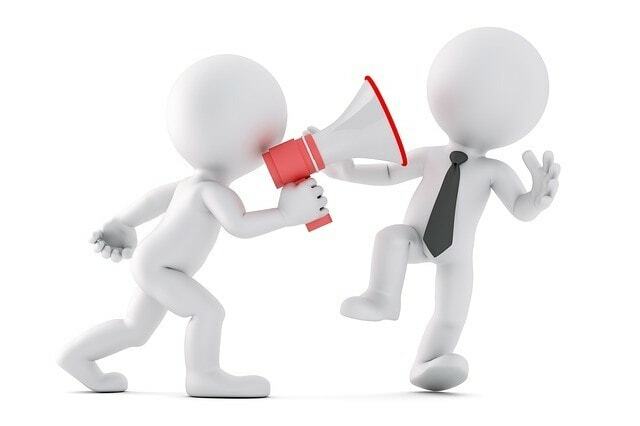 One very important thing to mention is that most of the complaints about broken units are in regards to leakage. While it may be true that some units leak, always make sure that when you refilled the water tank or removed it for cleaning, you put it back into a firm and secure position. Customers with children are overall happy with the ProCare humidifier. Set to “Low”, the noise isn’t too loud, so it won’t wake up the kids and since it doesn’t work on heated water, it doesn’t represent a hazard. While the overall impressions and experiences with the unit are positive, one general complaint refers to the ease of handling the unit when it requires a refill of the water tank. Several customers found it counter-intuitive to remove the cap of the humidifier and then secure it back after refill. However, the ProCare humidifier has proven itself useful once this one-time obstacle was overcome. If there’s one chapter where ProCare does deliver, is in the alleviation of nasal congestions and other similar breathing problems. It helps alleviate allergic rhinitis, asthma and sinusitis, but also helps with cracked skin problems. 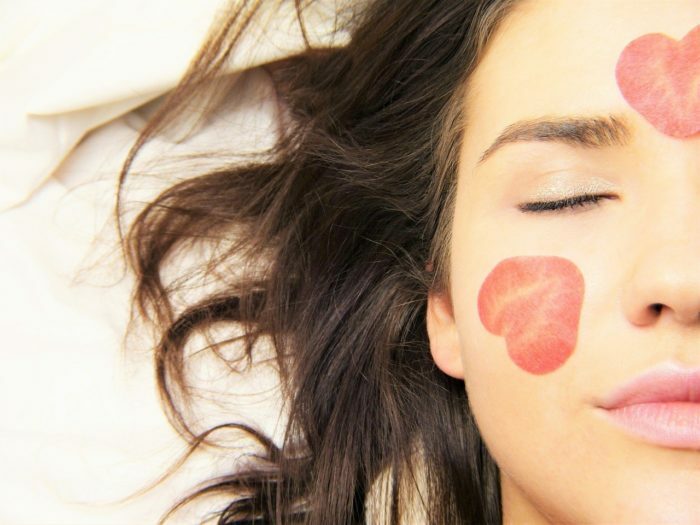 This improves the quality of your sleep and released you from general discomfort caused by dry air. The ProCare humidifier is a good unit for all those looking to improve home humidity levels without spending a fortune on such a device. It’s safe to use around children and pets, doesn’t make enough noise to cause disturbance in your night’s sleep and it can run up to 24 hours on a full tank. We would have loved a built-in thermostat that would allow the setting of a desired humidity level and the shutdown of the humidifier once that level is reached, but this is a function available with more expensive units. Once you get the gist of it, it’s really easy to remove the cap and refill the water reservoir. Most leakages are caused by human error, so don’t judge the product without having tested it yourself. The design itself is a bit tricky, since air is released from the bottom side of the unit, which basically means that you flip the water tank to put it back after a refill. This is what has generally led to confusions amongst the buyers of the ProCare humidifier that were tempted to report leakage due to damaged units. 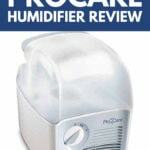 ProCare has designed a useful humidifier, that certainly beat all those DIY methods of raising humidity (remember the bowls of boiling water?). The 3 years warranty should keep you covered in case some of the components go bad or if you received a damaged unit upon shipping. Note that no warranty covers damage caused by the user, it only replaces damaged units caused by faulty manufacturing.